Amazon and the Amazon Logos are trademarks of Amazom.com, Inc. or it’s affiliates. Product prices and availability are accurate as of the date/time indicated and are subject to change. Any price and availability information displayed on Amazon.com at the time of purchase will apply to the purchase of this product. Product prices and availability are accurate as of the date/time indicated and are subject to change. Any price and availability information displayed on Ebay.com at the time of purchase will apply to the purchase of this product. Product prices and availability are accurate as of the date/time indicated and are subject to change. 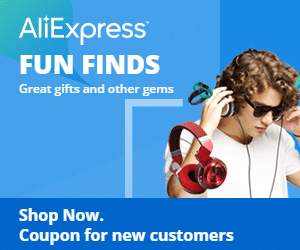 Any price and availability information displayed on Aliexpress.com at the time of purchase will apply to the purchase of this product.